It is a beautiful sunny winter’s day here in WA! Heat Exchangers WA just replaced another older forced draft condenser with a sparkling brand new Evapco CATC induced draft Evaporative Condenser. This included all the bells and whistles, such as Thermal-Pak II Coil, superior efficiency drift eliminators and the patented motor swing out arm plus davit providing unprecedented maintenance access and inherently better operation. Additionally, the Evapco condensers arrive pre-built allowing the minimisation of your on-site assembly costs. Are you aware that by installing a newer model condenser you can save significantly on electricity costs and reduce environmental impact? One of our food processing clients saved the equivalent of 5 household’s annual electricity consumption! By replacing their older, less efficient condenser with a new 11 kW Evapco CATC induced draft Evaporative Condenser they were able to achieve the same required output at a far cheaper cost, saving both their money and our environment. Is your current heating and cooling equipment getting a little tired and as a result has an out-dated power consumption? Is it costing you unwanted operational and maintenance costs? It could be time for an upgrade. 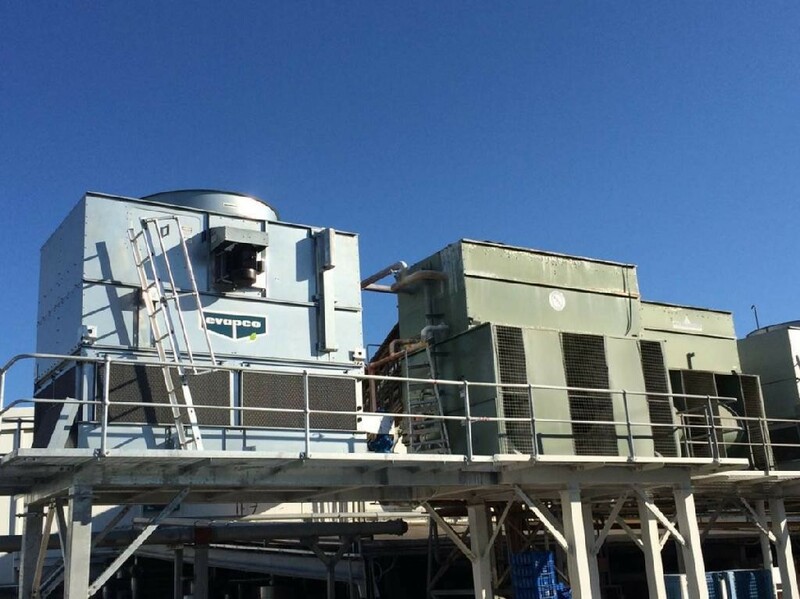 Here at Heat Exchangers WA we pride ourselves on exceptional service and commitment to the client, our cooling tower division designs each product to meet your required specifications the most effective and efficient way possible. Just ask our food processing client, they loved their first Evapco condenser so much they wanted two more, hopefully we can connect four! Heat Exchangers WA recently replaced an older forced draft condenser with a new Evapco CATC induced draft unit. The induced draft counterflow condensers are designed for easy maintenance and long, trouble-free operation. Hello Sunshine! 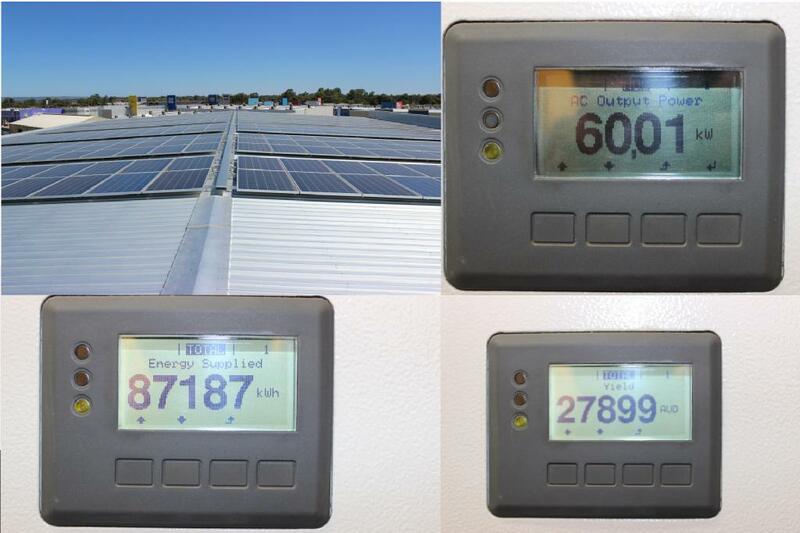 Here at HEWA we love sunny days, primarily because it means plenty of solar gain on our 400 125W panels! This means big savings on our power bill (as you can see here in the pictures) which in turn means added savings for our customers. Ask yourself this, “What commitment is your current supplier making to reduce their carbon footprint? HEWA’s EXTENSIVE INVENTORY SAVES 100’s OF OCTOPUS, OR DOES IT? 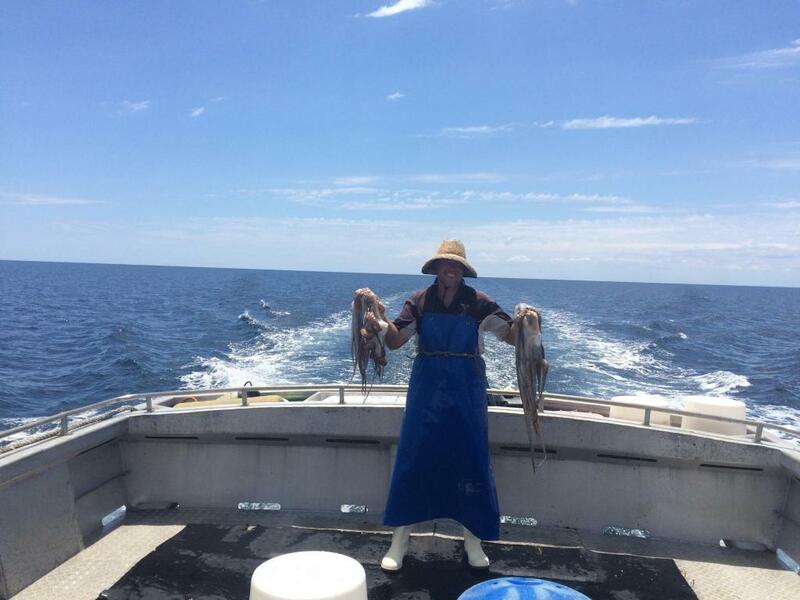 Meet Rod, a now happy octopus fisherman from Busselton Western Australia. HEWA recently received a distressed phone call from Rod who had recently dropped 1200 occy traps and suffered engine PHE problems on the return trip home. Rod was battling to find parts and his biggest fear was the octopuses starving to death in their traps! HEWA’s experts identified the rare part type and could immediately supply getting Rod back on the water within days, not weeks. Does your current provider have you covered for unforseen circumstances? Keeping up with the maintenance of your Heat Exchanger. Like all equipment, for it to perform at it’s best, it needs to be serviced to ensure it’s performance and lifespan. Heat Exchangers WA can inspect your Plate Heat Exchanger and make sure it’s working to it’s full potential. 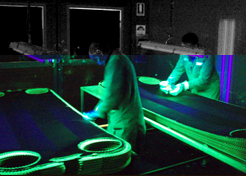 Whether it be chemical cleaning and UV crack testing your plates, replacing your gaskets or a full refurbishment, we can help. Regular cleaning of your PHE’s ensures efficiency and reliability of your equipment. For a full list of our services check out our website. Brazed Plate Heat Exchangers (BPHE’s) are among the most efficient heat exchangers on the market. On an upcoming project in Perth’s CBD, a client has decided to sou to source BPHE’s as they occupied 20% less space than a traditional plate & gasket heat exchanger. BPHE’s traditionally are thin stainless plates with narrower channels (giving a higher heat transfer co-efficient), pressed together with copper sheet and brazed in an autoclave at extreme temperatures. BPHE’s are advantageous as they can operate at higher temps and pressures than plate and gasket and have a smaller footprint. They do however require very clean liquids passing through them due to limitations in serviceability as they cannot be pulled apart. Heat Exchangers WA are delighted to supply two of our biggest BPHE’s to date in a relatively small market such as Perth. Heat Exchangers WA completes the replacement & upgrade of a 2nd bank of Evapco cooling towers at UWA’s Central Plant. Each cooling tower cell rejects over 4500 kW of heat, supplying cold water to equipment that cools buildings throughout the campus. Once again Heat Exchangers WA give back to a worthy charity with the help of our customers. 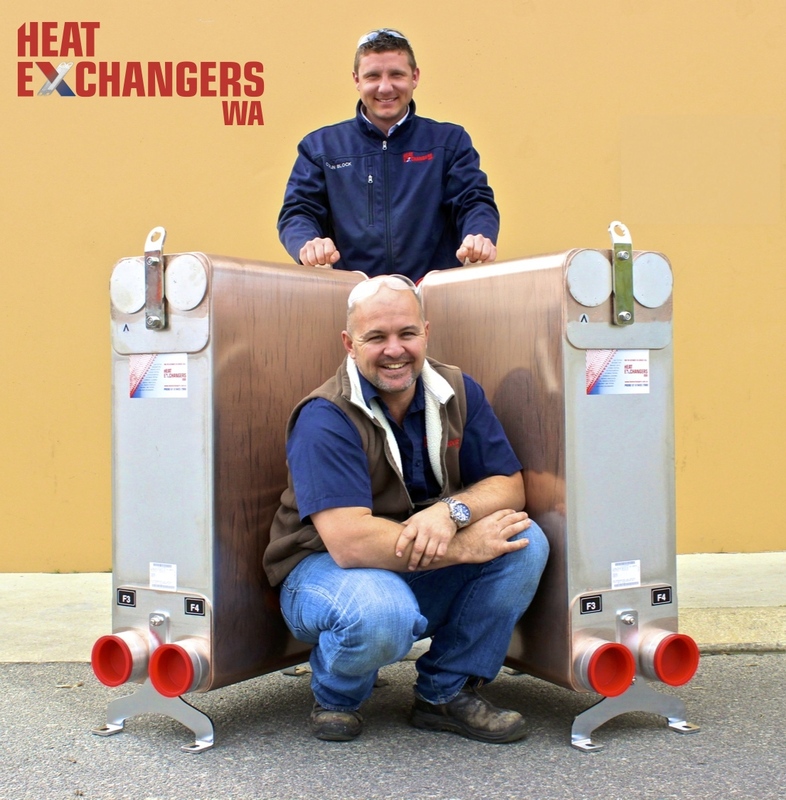 Heat Exchangers WA and our customers give back to numerous local charities each year. Heat Exchangers WA have donated $18,832.90 over the past two years. Today we are donating a further $10,488.10 to the RSPCA (Royal Society for the Protection of Animals) which brings our total up to $28,042.90. 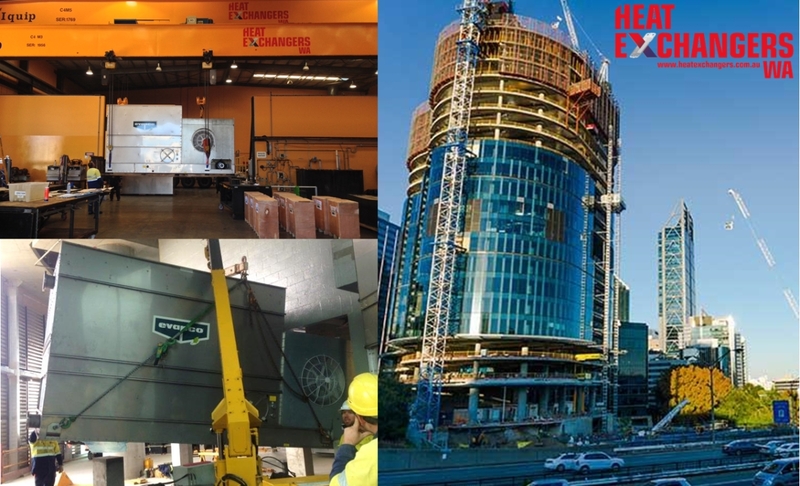 Heat Exchangers WA install an MFC 25C-G, EVAPCO’s induced draft fiberglass fluid cooler at the Bell Tower on Elizabeth Quay. 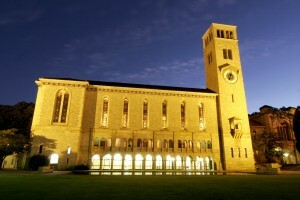 The Bell Tower plant room is being moved for the redevelopment of Elizabeth Quay. 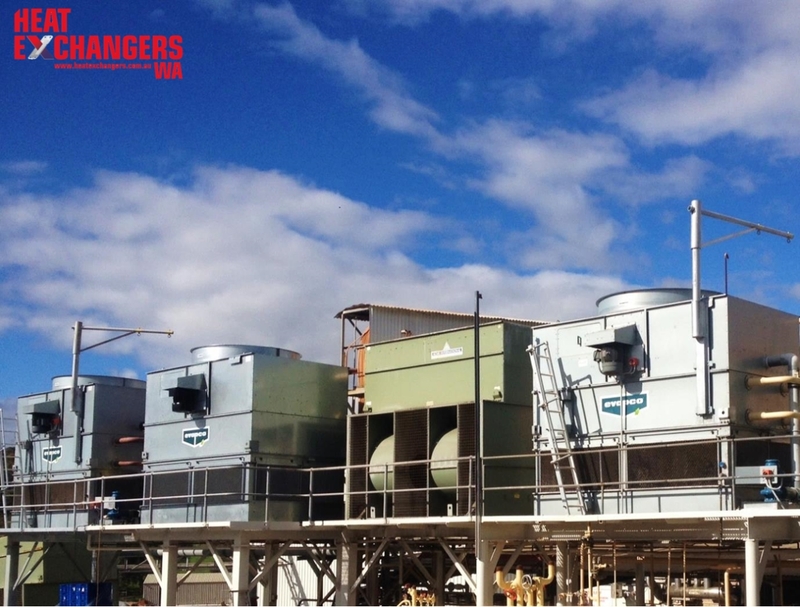 Heat Exchangers WA supply a huge range of fiberglass & stainless steel Evapco cooling towers, closed circuit coolers & evaporative condensers. We also service cooling towers. Any Part, Any Manufacturer, Anytime.